Two former line cooks who believe in the purity of produce and the goodness of vegetables, Evan George and Alex Brown are the witty and irreverent “Hot Knives” duo. You may have seen their book, The Hot Knives Vegetarian Cookbook: Salad Daze at Poketo LA. This month, they will be releasing their latest publication, Lust for Leaf. To celebrate their new book, Hot Knives will be hosting a launch party and book signing at the Poketo store on Sunday, July 14th from 2-5pm. Come down to meet Alex and Evan, listen to them read excepts from the book, and hear them speak about summer dining and tips for planning the perfect summer party! They’ll also do a short demo on “How to Make Booze Holes”, a short recipe from their “Sweets” chapter that utilizes various alcohols for flavoring. Sweetening things up, Alex and Evan will be bringing in their favorite vegan baker, Clara’s Cakes. 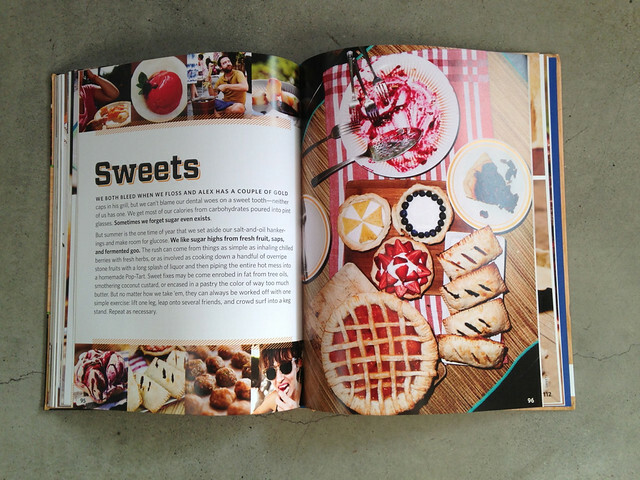 Clara’s Cakes will be baking some treats, including an interpretation of a recipe from their new book. It’ll be a fun-filled afternoon free and open to the public, so we hope to see you there! 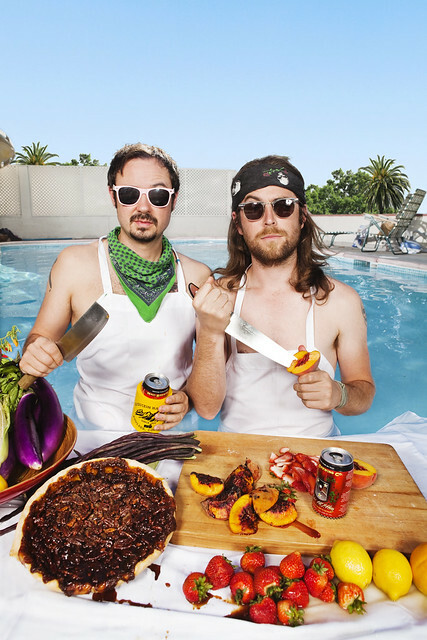 To find out more about Hot Knives, tune in to KCRW on Saturday 8th June at 11am to hear Alex and Evan spill the beans about the book on the radio station’s ‘Good Food’ program. 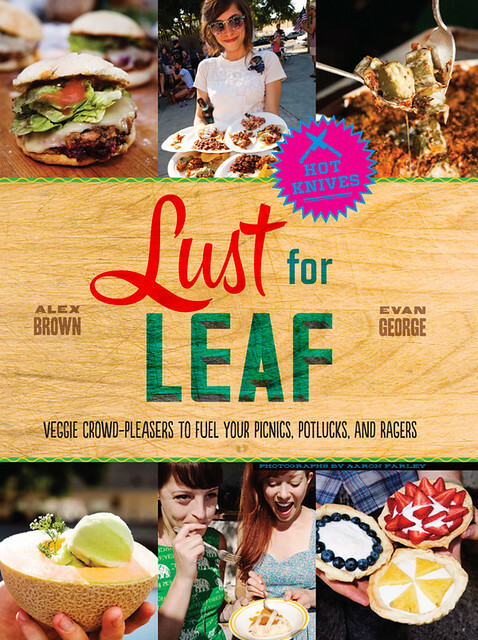 About Lust for Leaf: Featuring over 70 vegetarian and vegan recipes spread out over 128 explosive pages, Lust for Leaf is the only cookbook you’ll find with chapters called “Bro-tein” and “BBQ Mosh Pit,” or filled with recipes for DIY Wieners and Patties, Sauce-y Explosions, Salsas that Hurt, Deep Sea Mushrooms, and Nachos that Cook Themselves. And don’t forget dessert: try Hand-Cranked Cream Dreams and Booze You Can Eat.